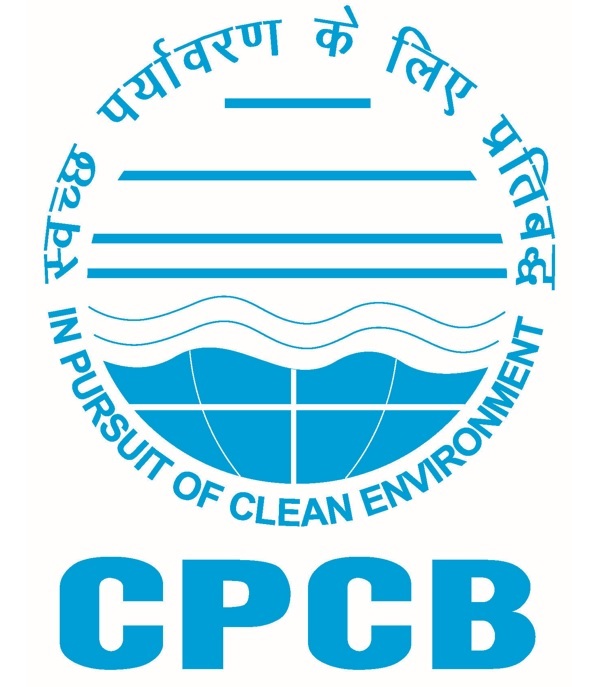 The Central Pollution Control Board has carried out an extensive inventory of coastal activities and published reports entitled `Use of Classification of Indian Coasts and Conflicts in five volumes (COPOCS I-V, 1982-86). Subsequently, the monitoring of coastal waters upto 5 kms limit in terms of recommended parameters was undertaken jointly with the Department of Ocean Development (DOD), Central Pollution Control Board (CPCB) and National Institute of Oceanography. In 1990-91 the programme was revised and the study area was extended upto 12 nautical miles. The project was administered by the DOD involving 10 executing agencies upto March 2001. Two Coastal Research Vessels (Sagar Poorvi and Sagar Paschimi) were engaged since 1996 in the programme. In the year 2001 the programme was again revised and is being carried out. At this juncture, DOD has entrusted the Central Pollution Control Board (CPCB) to take up the programme on countrywide land based sources of pollution to the coastal waters. Accordingly, the project on "Assessment of Land based Sources of Pollution to the Coastal Waters of India" was conceived and the project was approved in 2002-2003. The studies were initiated in the end of the year 2003. CPCB prepared five reports on the land based sources of pollution in compliance to the decision of the DOD. One of the basic requirements for controlling pollution is generation of data on levels of pollutants over a period of time so that a clear picture on the increase and decrease of pollution in correspondence with measures taken can be obtained. For this purpose systematic monitoring of levels of pollutants along the selected and appropriate regions of the country's coastline is essential. With this objective, a programme on Coastal Ocean Monitoring and Prediction Systems (COMAPS) is being operated since 1991 by the Department of Ocean Development is close co-operation with the Ministry of Environment and Forests. The main objective of the programme is to constantly assess the health of India marine environment and indicate areas that need immediate and long-term remedial action. Data on nearly 25 environmental parameters are being collected at about 70 locations (number and locations vary periodically which is due to changes made based on user requirements and non-observation of definite trends in levels of parameters) with the help of 121 R&D institutions in the 0-25 km sector of the coastline of the country. To establish a knowledge-base in the field of biogeochemical parameters in estuaries and in coastal, shelf and open seas. To operate and appropriately structured information system for ready dissemination of various data sets to users in government, industry, research and social institutions. To provide advisory and technical services to government, industry and public institutions aimed at evolving pollution containment measures. To detect radical changes in the biogeochemical regimes of the marine system and to alert government, public and social institutions, of their implications. To set standards for the measurement of various pollution parameters and to ensure compatibility between the data acquired and processed by various monitoring agencies. Centre for Earth Sciences Studies, Trivandrum Part of Karnataka, Kerala, Lakshadweep coasts. Mouth of rivers/estuaries/creeks located close to beach location - 3 hrs. tidal circle for 12 hr-All water and sediment quality parameters indicated below. Beach sand/sediments at inter tidal area for analysis of total organic carbon, bacteria, toxic materials like cadmium, lead and mercury Biological analysis of mirco, meo and macro fauna. 1 km, 3 km, 5 km from the coast: All parameters for water and sediments as mentioned below, with heavy metals ( Cd, Pb and Hg) in water also. For depth exceeding 10 m, mid-depth samples also being collected. Primary productivity, chlorophyll-a, pheophytic, Qualitative and Quantitative aspects of phytoplankton, Zooplankton and benthic organisms ( micro, meo and macro benthos). The benthos has to be done in the intertidal and sea mareas. There has to be at lese 5 sampling locations for intertidal benthos. Experimental trawling for catch, total species and major species of fishes at selected locations. Selected organisms (Mussels or other sessile/sedentary organisms) to be analysed for cadmium, lead and mercury as well as pesticide residues (DFDT & BHC). Organisms have to be collected at estuarine/creek mouths and intertidal areas. The data on above parameters collected form 1991-2005 revealed that the following locations do not show high levels of pollution and also the levels of parameters remain more or less same from year to year. Therefore, they are being monitored once in two years. The data on above parameters collected from 1991-2005 revealed that the following locations showed low to moderate levels of pollution and also the levels of parameters fluctuate from year to year. Therefore, they are being monitored once in one year. Among the following locations except Mahanadi, Paradip and Port Blair have shown high levels of pollution in some years and have been showing fluctuating trend. In order to keep a vigil on their likely increase further, they are being monitored three times in a year. Mahanadi and Port Blair are being monitored as zones that may influence neighboring ecologically sensitive areas. To suggest remedial measures to improve the coastal water quality based on the dry and wet studies. The study has been undertaken all along the Indian coast including areas of river outfalls and island systems. The information / data on water sources, water utilisation, wastewater generation, treatment facilities available and disposal methods and also solid wastes both municipal and hazardous, generated has been collected by personal visit / questionnaire survey from municipalities, industries, aquafarms, ports and harbours, fisheries harbours and solid waste generated from ship-breaking and pollution load generated by salt pans, coconut husk retting and other processes / establishmemnts, which are discharging treated and untreated wastewater to the coastal waters directly or indirectly. The wet study includes collection of samples from significant pollution sources during the study period for analysis of relevant parameters. Besides, monitoring of the outlets of STPs, CETPs and ETPs were also been carried out to assess the effluent quality. Municipal sewage is the main single source of pollution from the land based activities to the coastal waters. From 120 Class I cities and Class II towns of coastal area generates about 6835 mld of wastewater per day, out of which only 1492 mld wastewater gets various levels of treatment. The remaining quantity is being discharged without any kind of treatment to the coastal waters. The disposal of solid waste generated by 120 coastal cities and towns does not effect the coastal waters, since it is partly disposed in landfill sites, partly dumped openly and partly composted. The wastewater generated from the large and medium industries located on the coastal area is being treated to secondary / tertiary level. In certain cases there is zero discharge. The treated wastewater is discharged to the estuaries, creeks, gulf etc. In the case of SSI units and industrial clusters the treatment of wastewater is done by establishing CETPs. In Gujarat and Maharashtra, there are 24 CETPs discharge the treated effluent to the coastal waters. These CETPs deal about 2500 SSI units in Gujarat and 2000 SSI units in Maharashtra. Most of the CETPs comply with the effluent standards. In the case of coastal aquaculture suspended solids and nutrient content are causing pollution to coastal waters. As per the guidelines of Aquaculture Authority, Govt. of India Aquafarms having water spread area of 5.00 hectares and above should have Effluent Treatment System. Most of the aquafarms are in the process of establishing ETS. In Veraval 42 fish processing industries have established a CETP of 5 mld capacity to handle the wastewater generated by these industries, which is being disposed to the harbour water. It has been observed that there has been much improvement in the quality of the effluent. However, there are other factors like city sewage disposal to the harbour, number of fishing boats handled by the harbour etc. are to be looked into for improvement of the quality of fisheries harbour water.